The summer sales are coming and I already purchased a full set of tools from my wishlist. Now that I can get tunes released, I just need to work faster and create tracks easier. Cableguys – these guys offer a bunch of simple tools with extremely flexible and streamlined interface. While Volume Shaper doesn’t seem to do anything but volume automation, it is actually extremely useful. Can do (trance) gates as well as multi-band sidechain, but also audio-rate modulations and everything in between. In all products from their “ShaperBox” bundle it is easy and quick to see the waveform, manipulate volume, change presets on the fly, browse presets from the internet community (!) and also set up external trigger / sidechain if needed. And it’s all quick, it’s all hands-on. I also picked MidiShaper to control all current and future instruments which don’t come with note-independent envelopes (Dune 2, Harmor) or don’t offer fancy envelopes at all (Operator). Also it’s future proof in case I ever get some hardware synth. Their TimeShaper is recent hit and entirely different beast. It allows to do all kind of stutter, tape stop and scratch in seconds. Just pick any loop and any preset – it will work! 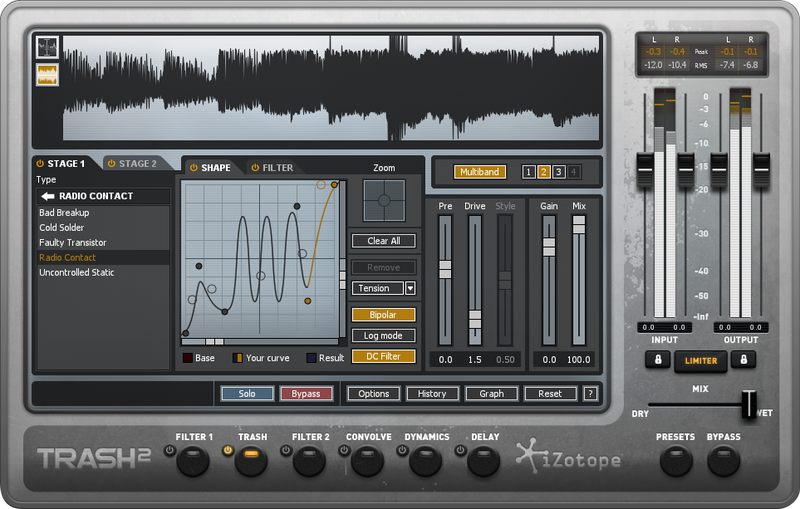 One of the best plugins ever, simply gets the job done. But wait, there’s more! I also picked a Creative Bundle from Izotope with multiple disocunts. It included Iris 2, Trash 2 and Stutter Edit (already sold BreakTweaker which comes in this bundle). Iris 2 is sample-based / granular synthesizer, an ambience / pad workhorse. Comes with a huge library of 11 GB sustained samples (terrible to install, though) and impressive presets. There’s nothing more organic than field recordings, so I will dig it for sure. This one can help me create stuff I didn’t create yet, such as ambient. Surely I could drop a sample in a Simpler, as I did for Ruska – Saimaa remix, but Iris 2 is somewhat more flexible, multi-timbral and fully-featured synth. High-quality samples don’t come easily, as well. Still will need a time to fully learn that synth, so far mostly drop presets. Trash 2 is probably the best ever multi FX – distortion / saturation, but also dynamic EQ / filter, convolution engine, multiband dynamics and creative delay. As much as I avoid multi-FX, this one got me. What’s great that it has all the controls needed, but doesn’t have any controls which I don’t need – for simple and easy operation. Trash can do everything from subtle tape saturation or dynamic EQ to extreme waveshaping and modulation for psy or dubstep madness. 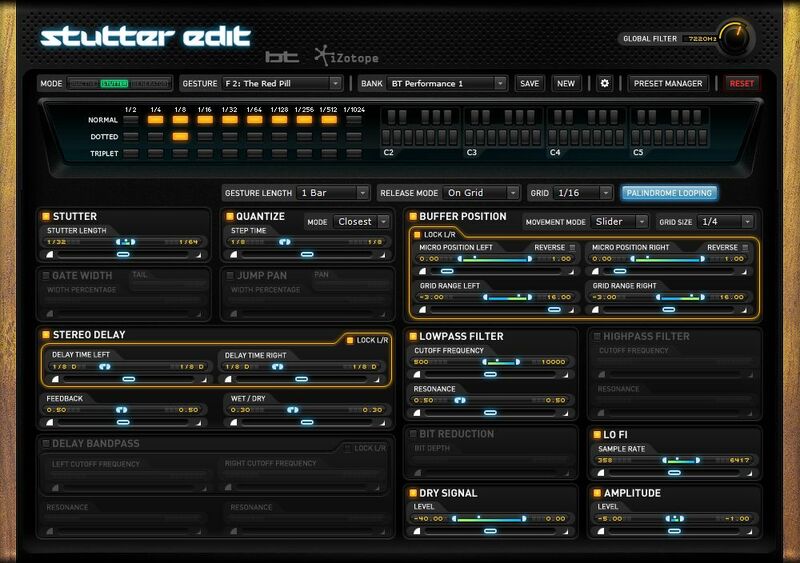 Stutter Edit is multi-FX stutter / gate / bitcrusher and what not – playable in real time! Thanks to my drum pad I can generate wild loops and drops pretty much instantly. For sure will do well in more dancy tracks which need some variation and dynamics. Too bad none of the above, not even Cableguys, has scalable interface. This could help a lot with my 4K monitor. Iris 2 is resizable, but only in the sample windows part. Luckily is not that small. Now these were purchases… but also this year I got myself a nice setup of free plugins, which I’m going to present in another post. And yes, I do use and will use all of these. The plugins above replace many of Ableton Effect Racks or free/ Max4Live devices, which tend to be somewhat half-assed and not reliable in general. After Remix of Indecent Noise – Dolores was finished, I already started another own production – with african theme. Stay tuned! This entry was posted in Production, Synth and tagged Ableton rack, ambient, Audio effect, CableGuys, granular, Indecent Noise - Dolores remix, Iris 2, Izotope, Max4Live, MidiShaper, plugin, sample, sampler, scratch, stutter, Stutter Edit, tape stop, TimeShaper, Trash 2, VolumeShaper by djwarmonger. Bookmark the permalink.